McARTHUR – ROSS – Both families are delighted to announce the engagement of Shona, daughter of Anne and Archie McArthur, Tiretigan Farm, Kilberry to Alexander, Son of Lady Provost Hanna & RH Lord Lieutenant and Lord Provost Frank Ross, Corstorphine, Edinburgh, on Saturday, February 23 at Fonab Castle. 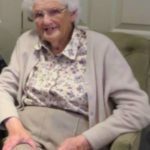 BLACK – Anne (Nancy), died, aged 91 years, on March 14, 2019 in Oban, where she was born and lived. Fourth daughter of Barbara and Donald Black (butcher) of Oban and Kererra “who provided a childhood which has sustained us through life”. Sister of Catherine, Isobel and Curstan. Aunt to Fiona, Barbara, Alison, Calum, Jane. Great aunt to Robbie, Jamie, Josie, Seonaid, Ross and Rosy. Great great aunt to Oscar, William and Euan. Friend to many. Shopkeeper (Nancy Black’s Chandlery), sailor, world traveller and recorder of local and family history of Oban and area. Funeral on Friday, March 29 at 1pm in Oban Parish Church thereafter to Pennyfuir Cemetery and refreshments. All welcome. DAWSON-BOWMAN – Doris. On March 10, 2019, in the arms of her loving family, at Gowanlea Christadelphian Care Home, Bannockburn, in her 102nd year. Adored wife of the late Hamish, dearly loved by Michael and Lesley, her seven grandchildren, sixteen great-grandchildren and one great-great grandson. Asleep in the Lord, awaiting the Master’s call. FILES – Peacefully at home on March 13, 2019, Catriona ANNE, in her 54th year. Loving mum and best friend to Tia and Dale, daughter of the late Tom and Sarah, much loved sister aunt and great-aunt. Funeral service will be held at Oban Parish Church on Thursday, March 21, 2019 (today) at 1pm. Family flowers only please. FLAVELL – Anne “Cookie”, owner proprietor of Seafare, Tobermory for over 40 years, died on Sunday, March 10, 2019. There will be a farewell to her at The Western Isles Hotel, Tobermory on Saturday, March 23 at 1pm. At her request loud shirts and silly hats encouraged but not compulsory. Collection for Mary’s Meals. LINDSAY-MACDOUGALL – James, Younger of Lunga. Unexpectedly at home in his 54th year, on March 15, 2019. Funeral in Craignish at a dateto be announced. MACCORMICK – Peacefully at home surrounded by family on March 16, 2019, Ronnie Maccormick, (Oban Mart), age 70 years. Much loved husband to Margaret and treasured brother, brother-in-law and special uncle. A true gentleman and a dear friend to many. Will be sadly missed but always in our thoughts. A celebration of life will be held in Argyllshire Gathering Halls at 1pm on Thursday, March 28, 2019 and interment at 12 noon on Friday March 29, 2019 at Reilig Òdhrain Cemetery, Isle of Iona. Family flowers only. MACDONALD – Alasdair, son of the late Hugh and Effie (Kenovay, Tiree), brother of Ishbel, Sheena and the late Donald, husband of the late Anna and much loved dad of Fay, Rod and Calum died March 4, 2019, aged 87. MACFADYEN – Peacefully on Saturday, March 16, 2019, at Raigmore Hospital, after a short illness, Sheena MacFadyen, Stoneyholm, School Road, Conon Bridge, aged 67 years. Former License Trade. Dearly loved wife to Colin, greatly loved mother to Grant, Alastair and Catrina, precious grandmother to Isla, Calum and Lexi, much loved twin sister to Alistair, beloved daughter of the late Elma and Ian Grant, Pittendreich Mill, Elgin. Sorely missed by many. Funeral service on Thursday, March 28 at 12 noon in Inverness Crematorium. All friends respectfully invited. Donations welcome at the service for Munlochy Animal Aid and The Highland Hospice or please forward to William T. Fraser and Son, Culduthel Road, Inverness. MACPHERSON – Margaret (née Cunningham). Peacefully at Lorn and Islands Hospital on Tuesday, March 12, 2019, following a long illness courageously borne and surrounded by the love of her family. Beloved wife of Alasdair, loving mother and mother-in-law of Gordon and Ali, and loved grandmother of Rachel and Joshua. Funeral service will be held at Kilmore Parish Church on Friday, March 22, 2019 at 1pm. Family flowers only please, donations if desired to North Argyll Home Residents Fund. ORR – Suddenly at home in Lagavulin on March 13, 2019, Jim, aged 70 years. Beloved husband of Marjory, née Robertson, much loved father of Alan and Graeme, father-in-law to Lindsay and Laura, devoted papa to Ethan and dear brother, brother-in-law and uncle. Funeral service on Friday, March 22, 2019 at St John’s Church, Port Ellen at 11.30am followed by interment in Kilnaughton Cemetery, Islay. REID – Suddenly but peacefully at Lorn and Islands Hospital on Monday, March 18, 2019, William Campbell Reid (known as Campbell), aged 87 years, surrounded by his family. Much loved husband of Frances, dad, father-in-law, grandad, great-grandad and uncle. GALBRAITH – Val and family would like to thank everyone for the overwhelming amount of support shown following the heart-breaking loss of Robert (Gal). Thank you to all the staff at the Lorn and Islands Hospital for the care and attention that was shown to Gal. We extend our sincere thanks to Rev. Dugald Cameron for his guidance. Thanks also to Petals of Oban for the beautiful flower arrangement. We would like to thank Ian at D&A Munn Funeral Directors for making such a sad time a little easier by their care and kindness shown. Donations to ABCD amounted to £539.49. MACLEOD – The family would like to express their gratitude to all family, friends and neighbours for their kindness and support following the sad loss of Murdo MacLeod, a beloved husband to Audrey, father to Maria and Iona, grandpa and father-in-law. 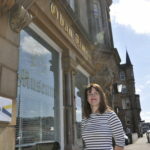 Thank you to John McLellan, Funeral Directors, for their support and professional care. Special thanks to Mgr Donald MacKinnon, Fr Stanislaw and Deacon Thomas Wynne for a beautiful service and to all who attended. Thank you to all who sent cards and messages offering comfort at this sad time. Donations for Ward 1 Belford Hospital, came to £359.54. PATERSON – The family of the late Tricia Paterson would like to thank all family and friends for their kindness and support at this sad time. Thanks to all who attended the funeral service, many having travelled very far to be there. A big thank you to Jamie, Beth and all at Mike McFall’s for their kindness and compassion. Special thanks to all the staff at the Belford Hospital and to Alyson Stewart for her comforting service. Many thanks to Meg and the staff at the Railway Club for a lovely buffet, and to Shiona and Colin at McDonald Brothers for the beautiful flowers. Finally thank you to everyone who attended the service and gave generously to the family’s chosen charities, Cancer Research and the Belford Hospital. PATERSON – Tricia’s Mam, Christine, and brother Brian, would like to thank everyone – family, friends and neighbours for their cards, flowers and phone calls. We were overwhelmed with all the kindness and support we received. Tricia will never be forgotten and will be sorely missed by everyone for her kind, gentle manner and her lovely smile. She was a special, loving daughter and sister, taken from us too soon. SHARP – Marion, Thomas, Linda and all the family would like to thank all the people who sent cards and flowers, also to thank all the staff up at the hospital who cared for Alex while he was their patient, the ambulance crews who were always there when he was so ill, the Lorn Medical Centre for all their help. Thanks to Catriona, Owen and James Hoey for all their help. Thanks also to the people who travelled to Perth in such a miserable day of rain to be with us. ARMSTRONG – In loving memory of my dearest mother, who passed away March 23, 1975. Also remembering dear friends Tootsie and Mairi Campbell, Mrs Madge MacIsaac, Rev John MacLeod and his dear wife Dolina, also Donnie Ferguson, a very kind and caring vet, also John Allan MacNeil, Barra and dear friend Nancy Duffy, also Pat Fountain. Mary, a very dear wife, mum, granny, sister, sister in law and auntie. In our hearts and minds forever. With all our love. 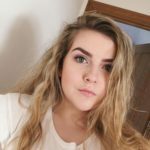 – The family in Skipton, Australia, Fort William, Garryhallie Gerinish and Benbecula. – Edith, Ruth and Marjorie. CAMPBELL – In loving memory of my dear mother and grandmother, Betty Lyall, who died on March 19, 1979. Never a day but in our thoughts. – Inserted by her loving daughter, Ann, Angus, Lorne, Gordon, Gillian, Ardness, Bunessan. Mull. DEMPSTER – In loving memory of a dear mother and nana Morag Scoular, who died March 24, 1986, also her husband Kenny, who December 1, 1989. – Fondly remembered by Hugh and her grandchildren. MACDONALD – Precious memories of a loving son Euan, brother and uncle to Iona, Donald, Iain, Morven and Jamie. Too dearly loved to be forgotten. From us all. – Mum, 47 Drumfada Terrace, Corpach.